The item Moonstar, David Gerrold, (ebook) represents a specific, individual, material embodiment of a distinct intellectual or artistic creation found in Charlotte Mecklenburg Library. In the distant future, a woman struggles to find her identity and her destiny... She was born in the moonstar's shadow, when the storms of Satlik raged their worst. Because of this, Jobe was different. The family never spoke of it, but everyone knew Jobe was special. So Jobe came to know of it, too. She had a destiny beyond that of Choice, beyond that moment when she would finally have to decide for Reethe, Mother of the World, or for Dakka, Father, Son, and Lover. For the others it was easy, but not for her, not for Jobe. So she was sent to Option, the island of learning, to decide her gender and become who she must be. And slowly, ever so slowly, Jobe retreated from the world, from the time of decision. 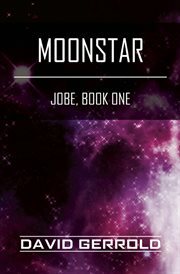 Then the ultimate cataclysm wracked the planet, threatening all her people had struggled to create-and Jobe came forth at last to fulfill her destiny and begin the quest that the moonstar had set for her so many years ago..